The following are the latest results contributed by HM Courts Service, for cases sentenced by West Sussex Magistrates’ Court sitting at Worthing from March 8 to 14, 2019. The following are the latest results contributed by HM Courts Service, for cases sentenced by West Sussex Magistrates’ Court sitting at Worthing from February 15 to 21, 2019. A driver who failed to stop after an accident in Shoreham in which damage was caused to ten vehicles has been sentenced. The following are the latest results contributed by HM Courts Service, for cases sentenced by West Sussex Magistrates’ Court sitting at Worthing from February 8 to 15, 2019. WOW Air Ehf, a low-cost Icelandic carrier, has been fined for breaching rabies regulations, having allowed a pet dog to land at Gatwick Airport. 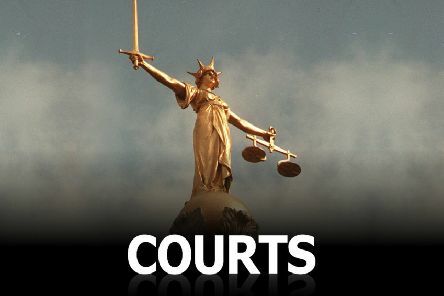 Linton Woolley, 30, of Lavinia Way, East Preston, was given a community order after admitting stealing alcohol worth more than £650 from four different stores. Graham Partridge, 61, of Ontario Close, Durrington, has been fined for drink-driving after damaging two pedestrian traffic lights in Worthing and failing to stop. Daniella Rossi, 37, of High Street, Shoreham, has admitted stealing items worth a total of £489.03 from five different shops in Chichester on the same day. Anwar Ali, 37, of Corbyn Crescent, Shoreham, will have to complete 200 hours’ Community Payback after driving while disqualified. Ian Heard, 33, of Warners Parade, Orme Road, Worthing, has been fined for stealing flowers.